To enhance your healing, the Wilshire Chiropractic Institute uses in-house many of the techniques that typically would need to be done at a physical therapist’s office, and some that they don’t have access to. These modalities, when used only by themselves, are of little benefit other than to bring temporary relief. When used after the adjustment, they assist in promoting healthy function of the joint or joints involved. Hi frequency sound vibrations applied to the area using a gel like substance to conduct the vibrations, create heat deep in the tissues. The rise in temperature is found to be effective in desensitizing the area, reducing bone spurs, reducing nerve root inflammation, relaxing muscle spasms and flushing out toxins from the area. We use the Microlight ML 830 Laser. This state of the art technology, recently approved by the US Food and Drug Administration shoots light waves deep into the tissue it is applied to. It is painless, sterile, non invasive and drug free. 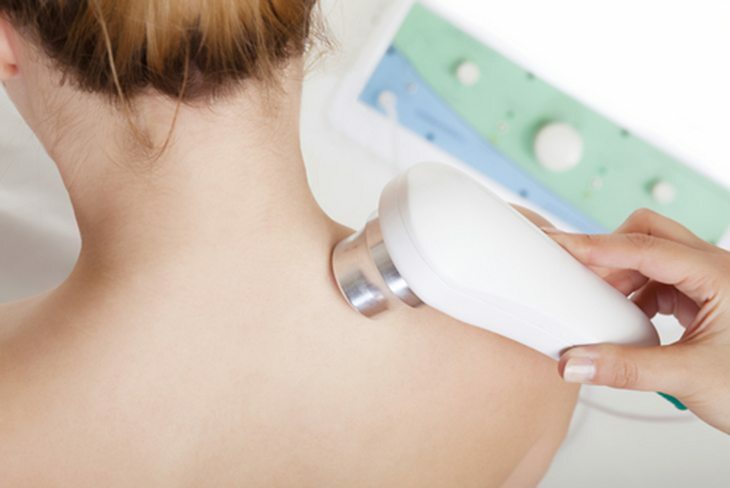 The repeated usage of the laser generally brings substantial if not total pain relief and can help to heal the area as much as 60% faster. Over the edge of our treatment tables. A roll is packed under the back of your neck and a weight in a harness is placed around your head. We regularly get great results attempting to restore lost cervical curves with this technique. In which I stretch the discs and muscles of the low and mid back. With a pinching motion, by hand I break up adhesions of skin to muscle, muscle to muscle, etc., formed when both get damaged together and grow together in little spots. There is often a temporary discomfort, but your range of motion increases, scar tissue reduces, and chronic muscle spasms can be reduced, ultimately resulting in substantial relief in most cases.. Tiny amounts of electrical impulses are induced into the tissue. These impulses exhaust spasmed muscles enabling them to relax. “EMS” also helps to reduce pain and swelling of soft tissues and increases blood flow to the area. By using ice on areas of pain and inflammation, we reduce swelling and provide a numbing effect on the damaged area. By inducing moist heat on your back, the superficial (close to the surface) muscles relax. We use a hand help massage unit called a “Jeanne Rub”. This unit provides a soothing relaxation to the neck, mid and low back. We can help you get back to your best self.